We have a membership of more than 43,000 including directors and senior leaders from business, government and the not-for-profit sectors. Engaging with our members and clients to increase satisfaction and foster loyalty. We offer professional services, education and resources to help our members and clients access, adopt and benefit from governance knowledge. Influencing the creation of leading governance principles, practices and laws. We are the voice of governance and directorship in Australia. Providing leading governance education. We support life-long learning and development for directors and the governance community. Being financially sustainable. We maintain a sustainable financial position that funds our long term development and our strategic objectives. We are a leader in global payment services. From small businesses and global corporations, to families near and far away, to NGOs in the most remote communities on Earth, Western Union helps people and businesses move money - to help grow economies and realize a better world. In 2016, we completed 791 million transactions for our consumer and business clients. We continue to innovate, developing new ways to send money through digital, mobile, and retail channels, with an array of convenient pay-out options to meet business and consumer needs. Corrs Chambers Westgarth is a premium independent law firm with a history spanning more than 170 years. Corrs has offices in Sydney, Melbourne, Brisbane and Perth as well as a strong partnering relationships throughout the world. Corrs’ independence and its network of the world’s best independent firms provide a competitive advantage for its clients. With more than 600 lawyers, including 120 partners, Corrs is consistently recognised for world class services and results. In 2015, 57 of its partners and special counsel were named leading lawyers in Chambers Asia Pacific and Global Guides and 129 were listed as Best Lawyers in the annual Best Lawyers peer review. OFX is the smart way for global businesses to make and receive payments to and from more than 190 countries. As an international payment platform, we offer 24/7 trading and customer support and bank-beating exchange rates in 55 currencies. 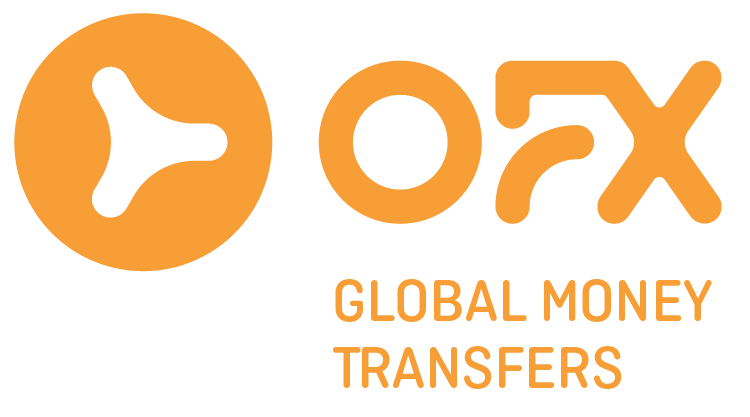 Our strict adherence to security and focus on customer service make OFX a convenient, secure and transparent way to send money overseas. Pacific Hydro was founded in Australia in 1992 and is a global owner, operator and developer of wind and hydro renewable energy assets. Pacific Hydro has a high quality and diversified portfolio of 19 operating assets with an installed capacity of ~713 MW across Chile, Australia and Brazil. It also has a substantial pipeline of development projects, with potential additional installed capacity of ~1.5 GW from 19 further projects across its three markets and a growing electricity retail platform in Australia. In Australia, Pacific Hydro also offers a range of retail electricity products to businesses and homes. The company is employing over 43,000 people worldwide, operating more than 1,200 flights per day and transporting 67 million passengers per year. Qantas Airways Founded in the Queensland outback in 1920, Qantas has grown to be Australia's largest domestic and international airline. Registered originally as the Queensland and Northern Territory Aerial Services Limited (QANTAS), Qantas is widely regarded as the world's leading long distance airline and one of the strongest brands in Australia. The Qantas Group's main business is the transportation of customers using two complementary airline brands - Qantas and Jetstar. Aquatain Products Pty Ltd is an Australian company which has been pioneering its unique liquid technologies since 2006. These technologies have focused on the development of products which form a thin film on the surface of water. We have dedicated substantial resources to research and development, resulting in a core range of products with global applications. Aquatain AMF for mosquito control is our flagship product. It is highly effective in breaking the mosquito breeding cycle, with potential benefits for controlling worldwide diseases including malaria and dengue fever. MalariaDrops and DengueDrops are soluble capsules containing Aquatain AMF. They are ideal for application to small water containers where mosquitoes can breed. WaterGuard is aimed at reducing the loss of water due to evaporation. Water shortages are looming as one of the world’s major problems in the 21 century. Gladiator, a relatively new addition to the range, is effective in controlling the spread of oil slicks on water. Although these products have different formulations, the strong spreading pressure of each product ensures that it forms a stable film which is resistant to wind and wave action. address problems faced by the world today. Oceania Legal Australia & International. Australia & Brazil (dual qualified) Commercial and Corporate Lawyers & Business Advisory. Lawyers of the Supreme Court of New South Wales, Australia. Also, licensed Brazilian Lawyer (OAB/SP). Areas of expertise: Our focus is on the legal needs of businesses and their owners, whenever they have opportunities (or challenges) with customers, suppliers, partners, employees, assets and property, we can help. We work collaboratively with all our clients providing effective legal solutions with a commercial mind. Commercial and Corporate Law specialist. Business Law. Business Advisory. Multinationals, SME's, Entrepreneurial, International Trade, HNW Individuals, Intellectual Property, Real Estate, Investment, Import and Export, Distribution, litigation and international disputes. Australia wide. Cross-Border advice: Australia/Brazil. International consultancy. How to do business in Australia & Brazil. Australian & Brazilian Lawyer. Portuguese Speaking lawyer. Brago Brazilian Goods Trader PTY is an import/export company located in Mittagong, NSW, Australia focused on brazilian specialty coffee. We have selected farmers from around southern Minas Gerais, Brazil that have a rich heritage in growing coffee to bring our customers the unique flavor sensation of single origin coffee beans. ​ridge Product Management is a consulting business dedicated to provide project management and product marketing solutions, from new product introduction throughout the product life cycle: product sourcing, portfolio management, product and supplier quality management, certification and compliance. Cane Financial understands the complex landscape of loan products, lender rates and structuring debt right, however, they do so much more to make the experience easier for you. D&D Worldwide Logistics is a Melbourne based with over 20 years of experience in International Freight Forwarding and Logistics. We are dedicated to providing the highest quality service with our customer satisfaction guarantee we go that extra mile to exceed your expectations. With a variety of services to choose from; International Freight Forwarding by Air or Sea, Global Logistics, Customs Clearance, International Trade Consultancy, Transport, Warehousing and Supply Chain Management, we are sure you will be more than happy working with our friendly team of professionals. Part of our ongoing company success, is attributed to encouraging our much valued customers to leave the logistics of global transportation to us, with confidence. We view ourselves as your shipping department within your organisation. We are committed 100% to helping you grow your business. ​With our strong background, experience and established relationships in the International Freight Forwarding industry we understand the importance of your cargo, and work tirelessly for our clients to provide the extra special service that they typical expect from us, another step toward being your dedicated International Freight Forwarder. DEQ Law is a boutique law firm focused on international transactions and dispute resolution, especially those with a Brazilian connection. We work on complex problems and provide high standard, creative, client-tailored solutions to our clients. Always subject to conflict checks, DEQ Law has offices both in Brazil and in Australia, and is able to provide seamless and customised services to both very large and mid-sized companies looking to expand their operations around the world. We act for clients from a wide gamut of jurisdictions including the United Kingdom, the United States, the Netherlands, Sweden, Uruguay, Australia, New Zealand and Brazil. Our firm is led by Fabiano Deffenti (https://www.linkedin.com/in/fabianodeffenti) the only lawyer in the world who is admitted to practise in Brazil (as an advogado), Australia (as a legal practitioner), New Zealand (as a barrister and solicitor) and in New York (as an attorney-at-law). Ember Eco Solutions. Environmental Technologies. Municipal Waste Carbonisation Plant – Waste to Energy - No Greenhouse Gases Emissions – 100% Self-Sustaining - Biocoal – Bioenergy – Highly Marketable Byproducts - Carbon Trade - Fast elimination of municipal waste. LESS WASTE, MORE RESOURCES. WASTE TO ENERGY. THE TRUE MEANING OF SUSTAINABILITY. EVERYONE WINS at EMBER. CONTACT US TO FIND OUT MORE. Immigration Solutions Lawyers consists of three streams: corporate migration, family migration, judicial and administrative merits review. The corporate stream has significant expertise in dealing with sponsoring overseas employees, student visas, distinguished talent visas and business innovation and investor visas (inclusive of significant investor visas). It is accustomed to retaining clients ranging from small start-up businesses to well-established industry leaders in areas such as engineering, hospitality, consultancy and farming. The family stream maintains a high quality of spouse/partner applications, child visas, carer visas, together with submissions on “no further stay” waiver conditions. The review stream provides high-quality forensic reviews of clients’ immigration history and lodges detailed and comprehensive submissions to the Ministerial Intervention Unit. Immigration Solutions also conduct a very robust merits review practice before the Migration and Refugee Division and Administrative Appeals Tribunal and works with expert barristers in the area of Judicial Review. Our areas of expertise range from completing relatively straightforward visa applications to undertaking complicated applications requiring detailed arguments and submissions, for example the waiving of either health or character criteria. We are also very experienced in preparing reviews for the Administrative Appeals Tribunal, as well as lodging submissions for Ministerial Intervention Requests. Due to our wide range of immigration services we are regarded as one of the best immigration law firms in Australia. ​InterLeão Consulting is a Sydney based company that helps businesses enter foreign markets. Our mission is to promote international trade between Australia and South America by offering consultancy services in foreign market entry and international business development planning. Additionally, we also offer business management, marketing consultancy and global sourcing services. Our consultancy services are offered in both English and Portuguese from the negotiation to implementation and execution of projects. ​Australia – Karoon has a working interest in 2 off-shore permits in the Browse and Carnarvon basins. The permits are located approximately 300 to 350 kilometres from the north Western Australian coastline and cover a combined area of 15,492 square kilometres. Brazil – Karoon has a working interest in 5 offshore blocks in the Santos Basin. The blocks are located approximately 200 kilometres from the coastline of the State of Santa Catarina and cover an area of 549 square kilometres. From Analyst to Senior level hires. 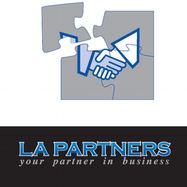 LA Partners is a Brisbane city based boutique full service Accounting Firm. Our broad range of professional skills, Strategic Planning focus and our key relationships with highly respected people in Australia and across the world, provides a strategic edge to our clients. Logistix Au was founded to make a mark in the Australian Customs and Forwarding industry. Logistix Au started its operations in Sydney in 1994 connecting with all the major cities Worldwide with the aim to offer the best in logistics services. Micos ​Design, manufacture & supply of aluminium windows and doors, and curtain wall façade solutions. Oz SoccerPro, helps young Australian soccer players to pursue their dreams to become good recreational or professional players. We develop their skills, technical ability, fitness and love for the game. Our approach to Player Development is fundamentally different from others. Oz Soccer Pro has entered into an exclusive "Strategic Partnership" with Cruzerio EC - one of the largest and most successful professional soccer clubs in Latin America for the development and promotion of the game in Australia for soccer players from the Age Groups of 10 - 18. WE DARE TO DREAM by providing Professional Pathways, through our Coaching Clinics, Talented Player Program Trials, Player Exchange Program and International Tours to help improve soccer within Australia. We improve on the basics, and build a platform for the future through actions and outcomes. Proactive CFOs and Business Advisors Pty Ltd. We are a CPA firm and provide services in accounting, taxation, corporate advisory and finance. Our services include setting up business entity structure, resident director services, company secretary, registered office, book-keeping, payroll and superannuation. Our clients get maximum value from the complete services under one roof. Our team has several years of experience in Australia and overseas. Quadrant Australia is a nationally recognised inbound and outbound tour operator with significant involvement with the Australian Tourism Export Council (ATEC). We offer a full range of travel services and as members of one of Australia’s largest travel buying groups, we have access to a range of cost-effective travel products. Our knowledge of, and access to, regional and remote services and products allows us to easily plan and deliver programs in all states and territories as well as overseas. Quadrant Australia has offices in Brisbane, Queensland and in Armidale and Coffs Harbour in New South Wales and is a member of an international organisation providing us with “like-minded” colleagues in over 40 countries. 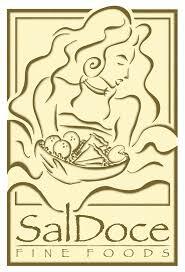 SalDoce Fine Foods was established in the year 2000 in Sydney to develop, manufacture and sell allergen sensitive and health foods. SalDoce has a range of gluten free baking mixes under the YesYouCan brand as well as private label to large supermarket chains in Australia and New Zealand. It exports to 15 countries including China, USA, Hong Kong, Philippines, Thailand and Emirates and has been a finalist to the Export Awards Prize. It is regarded as one of the pioneers in allergen sensitive foods and also has organic, reduce sugar and non GMO ranges. Saldoce also manufacturers the Brazilian style cheese bread Frevos (pão de queijo). We are passionate about creating the foundation of a strong brand and assisting our clients to build a strategy that provides customer loyalty and long term results in sales and marketing. We work closely with entrepreneurs and small to medium businesses across the globe and provide brand innovation through our digital solutions. 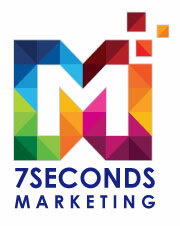 Smart Mango is an Australian agency specialising in International Marketing. Our mission is to provide you with the reliable international business development services. With over ten years of experience, our consultants will work with you through your export journey, help you connect with audiences globally, and lower entry barriers with effective strategies. Our clients love us for our down-to-earth and customised approach that gets sustainable results. We work with Australian exporters going overseas and overseas business interested in the Australian market. Whether you're looking to expand overseas, attract international customers on your domestic market or just get a clear and effective marketing plan and implementation. We are here guide you and help you to succeed. With Smart Mango, you will enter new markets safely and ready to win. Our clients are from manufacturing, consumer goods, fashion, health, and service sectors. We mainly work to and from Western markets including Oceania, Western Europe and the Americas. SportsLink International is the leading provider of tours to specific major international sporting events around the world each year. Since 2002, we have taken thousands of people on tours to over 30 countries all over the world to follow friends, family and their favourite sports stars at major international sporting events. With offices in New Zealand and Australia, plus agents and partners in many other countries right across the globe, our tours are available to any sports fan who wants to attend that world class event they have often waited years to see. Our many partnerships with National Sporting Organisations give us un-precedented access to players and teams. Many of our tour members are family or friends of those athletes competing, so we are very closely connected with the events. For those wanting to be part of the action, whether it be school or club groups, or individuals booked on one of our development tours, our playing tours give those sports fans the chance to compete against overseas teams and take in the key sights and major events that are all built in to our awesome packages. We also have a range of tours to follow the professional sports in the USA, South America & Europe. You wont find our tours anywhere else, as we specifically plan our trips to be unique experiences for our tour members. We look forward to welcoming you to "Our Sporting Family"
​Stark Capital Partners is a boutique M&A company providing advisory to small to mid-cap companies (SME). With Head Office in São Paulo (Brazil) the company started operations in 2014 and rapidly expanded to Europe and Australasia. Named by ANBIMA (Brazilian Financial and Capital Markets Association) one of the top 10 boutique M&A companies in Brazil in 2016. Our commitment is to transform business opportunities into successful deals and long standing partnerships. We have a rigorous investment filtering process when selecting new deals and only take a new project on board when identify value in the company, its brand and people. Our founders, directors and partners have significant experience across various industries and sectors. Added to a global network of professionals in the venture capital and private equity markets, the Stark Capital team is always focused in real value creation for our customers. Find out what we can do for you and your business! Total Marine Technology Pty Ltd is an Engineering & Manufacturing company that designs, builds and operates multiple specifications of ROV’s [Remotely Operated Sub Sea Vehicles], conducts Offshore Survey Campaigns, designs and operates Well Intervention Tooling. In 2014 TMT became a finalist in two categories of the WA Industry and Export Awards, winning the C.Y. O'Connor Award for Excellence in Engineering and Technology, and, receiving a Special Commendation in the WA Manufacturing Export Award category. TMT have supplied a quantity of 14 Heavy Work Class ROV systems on Offshore Construction Vessel’s off the coast of Brazil, operated by Sapura Navegação Marítima S.A.
Wedgebloom was established in 2010 as a registered Australian company with head office in Sydney. The firm was founded by Eduardo Damasceno Ferreira, a Brazilian-born Australian who leads the business as controlling shareholder and Executive Director. Wedgebloom Pty. Ltd. is an Australian Financial Services licensee, AFSL 404300, authorised to advise and deal in the following financial products: shares, bonds, managed funds, securities, deposit and payment products, derivatives and foreign exchange contracts, to wholesale clients. Wedgebloom advisers can offer comprehensive financial planning services, including investments, superannuation, retirement planning and risk management (life insurance) advice, to wholesale and retail clients, as Authorised Representatives of Lifespan Financial Planning, AFSL 229892. We can conduct business in English, Portuguese, German or Spanish.